We need to ascertain what improvements can be made if possible at the surgery. To do this we need to collect information from our patients. We also have a patient group which meets around four times a year at the surgery just ring reception or email dansonfamilypractice@nhs.net for more information. Next Meeting - Thursday 24th January 2019 @ 12 noon here at Werneth Primary Care Centre. Patient views are paramount to ensure continuous improvement of our services and we will always listen and take into account what patients are telling us. This group is seen as another method that patients can talk to us in addition to over the reception desk, telephone, email, text and feedback via our website. We are currently communicating to patients about new/changed services via newsletter, TV screens, www.dansonfamilypractice.co.uk, prescription notes etc. Through our effective communication methods the Patient Representative Group gain a better understanding and knowledge of the practice and its' staff, where previously they may have seen an issue, when the dynamics of the practice are explained it can become more understandable to the patient and they are able to see barriers we may encounter. By working with our patients we can often reach a solution. The Patient Representative Group enables us to consult with patients about arrangements for their primary health care before in-house decisions are made. Both the online community and the Patient Representative Group create an open forum to suggest positive ideas and voice concerns. The practice however does encourage that the group is used as productively as possible to enhance its' services. Our practice can plan services jointly with patients and this enables us to get closer to the community for whom we care. Feedback from surveys, online information, information from NHS Choices, are areas discussed within the Patient Representative Group and any other areas which were deemed relevant that had occurred within the practice. Local and national areas were also addressed around online facilities, extended opening hours, Patient access, health campaigns and any other information which was deemed relevant. The practice uses the TV screens within the centre and newsletters to convey information. The practice uses an online survey and now uses the Friends & Family Test. The practice is also a close knit one and relies on the views of patients, feedback received in-house and via online methods eg NHS Choices, www.dansonfamilypractice.co.uk etc. The CQC whilst visiting reviewed the Patient Representative Group documentation and work done and were happy with the information seen. The practice is very keen in engaging patients to help deliver and design services around the needs of its' patients. The Practice was keen to ensure that before it sought the views of its' patients on the priority areas, that the group understood its roles and responsibilities and why as a group they are integral to all we do. The PRG were keen to look at the key issues mainly those that were used within the National Patient Survey and look at issues regarding their patient experience with regards to appointments, telephone access, seeing a GP of their choice. The Practice had also used feedback, comments and suggestions by patients to help inform some of the priority areas. The practice has a comments box in reception so anonymous comments can be left if so desired. Introduce a text messaging service - When booking an appointment patients will receive a text confirmation, 24 hours before their appointment the patient will receive an appointment reminder, 2 hours following their appointment the patient will be sent a Friends & Family question to feedback regarding the service they received. Reception staff are given a print out each morning of patients who the text messaging service has been unable to deliver the message to, the receptionist will then update the patient details when they arrive at reception for their appointment. Unfortunately the practice is unable to change this, however in addition to the car park, further parking is available on the surrounding roads. The Practice Manager will feed the patients' concerns back at the next building meeting. Due to licensing laws we cannot accomodate this request, however in addition to practice information advertised on the screens in the waiting room there are health related short stories for patients to watch whilst they wait to be seen. The Practice waiting room information screen is kept updated, the patient group have suggested doing a 6 monthly email which is currently being looked into as well as a quarterly newsletter. A mobile telephone is now used for receptionists to carry out any 'back office' administration thus freeing up the practice telephone lines. Admin phone is now answered at busy periods, giving the practice three incoming lines instead of two. The practice was very keen in engaging patients to help deliver and design services around the needs of its patients. The Practice was keen to ensure that before it sought the views of its patients on the priority areas, that the group understood its roles and responsibilities and why as a group they are integral to all we do. The Patient Group were keen to look at the key issues mainly those that were used within the National Patient Survey and look at issues regarding their patient experience with regards to appointments, telephone access, seeing a GP of their choice. The Practice had also used feedback, comments and suggestions by patients to help identify some of the priority areas. A variety of surveys from other practices, National Patient Survey etc were looked at and from these one suitable to the needs of the Patient Group and Danson Family Practice was created. The practice used questions from well established questionnaire, the National Patient Survey, which is widely used in the UK and presented it to the PRG for comment as to whether the questionnaire was suitable and met the areas/priorities to be included within the survey. The PRG unanimously supported this. They agreed this would be a reliable tool which would provide feedback on all necessary aspects of patient care. Prior to the survey the practice advertised the fact that we needed their views and advertised both the paper questionnaires and the online one. These were advertised on prescriptions, display boards, notice boards, online, newsletters, face to face etc. It also advised patients that the survey would be assisted and supported by its PPG members. Patients were asked upon arrival to the surgery if they would be happy to participate in the local survey. This was done on a continual basis over three weeks. We also used our online survey; this was advertised on the home screen of www.dansonfamilypractice.co.uk so people booking appointments or ordering prescriptions could see this. The areas that scored 85% and below will be looked at and action plans devised to tackle these lower scoring areas. Albeit they are not poorly performing they have been noticeably lower. We will endeavour to tackle the lower scoring areas. Reception staff will go on customer care training to further their skills. DNA and lateness will be addressed thus impacting on the time clinicians have in surgery and if they do not have to worry about lateness and DNAs they will be able to focus even more on their patients. · Look at a way to deal with and overcome late attendees – 10 mins after an appointment time the doctor is consulted as to will they still see the patient. Obviously patients being late impacts on the whole surgery running late. · Telephone triage is now in force and perhaps we should advertise this more? · Use further questionnaires as a measurement tool. · Publicise the existing opening hours as patients may not necessarily be aware of what we offer. A plan of each clinicians surgery times will be published within the surgery and online.  Research and identify the options and solutions that are available to help with current set-up to improve patients’ experience.  Consider auto attendant features that could provide information to patients when on hold.  Look into using NHS.net for persistent DNAs.  Telephone on the day on habitual DNA patients.  See appointment system – review to ensure that online booking is feasible.  Speak to EMIS as Web is not allowing the surgery to use Emis Access at the moment. Our area representative is aware of this and the practice is to try to resolve and get up and running at the start of the next financial year.  Look at increasing use of text messaging service as a reminder to patients not to forget their appointment.  Display reminders to patients each month on the number of wasted appointments via posters, newsletter and website updates.  Review of appointment system to help improve access and manage patient demand.  Practice to look at matching capacity to demand.  Create a welcoming and supportive environment.  Ensure all relevant information is clearly available to patients and continue to look for ways to improve and personalise services.  Provide customer care training to staff and evaluate and monitor improvements. Staff have started this on the CCG provided online learning package. 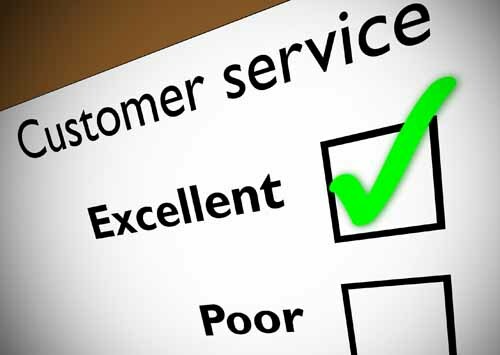  Use results from the questionnaires to look at patient satisfaction with customer service skills. The Patient Participation Directed Enhanced Service (England) is effective from April 2011 to March 2013 initially. It consolidates previous Access related targets and the indicators previously incorporated into the Quality and Outcomes Framework (QOF). There is an expectancy that the standards introduced under QOF and under previously associated LES / DES targets relating to access will be maintained even where these are not directly funded, and in particular, the ability to book ahead and the two day GP access targets. The basis of this DES to encourage patient involvement and decision making within the practice context, using a formal framework and specific milestones. Key aspects are to form a patient group, canvass patient views via a survey, and to consult with the patient group prior to the publication of the survey results on the practice website. Practices without a suitable website will have to provide one. Patient reference group liaison (non-clinical / administrative / communication). · Be of a minimum target size of 5 face to face and 165 virtual. The practice and the PRG will agree the survey content, format, sample size, timing and delivery mechanisms. It is essential that these elements are designed to reach all elements of the practice population. The communication should be suited to the needs of the recipient. It should be considered that a web-based survey will not reach those patients without computers, and those with learning disabilities or chronic medical conditions may be unable to access written or graphical patient surveys without help. Local groups may be able to assist in the delivery / collation of responses, e.g. translation into braille, audio delivery of questions via digital or web delivery etc. The survey will be a minimum of once per year. The survey may be analysed internally or via a third party. The PRG should be provided with the survey results in advance as the basis for a discussion meeting, where both the practice priorities from the survey may be presented, and the priorities identified by the PRG can be discussed. The survey results should be posted via the website and the publication announced by e mail (to a virtual group) and within the practice via leaflets and posters. Hard copies may be made available in the reception area. This must be via a suitable website by 31st March. Practices without a suitable web facility must arrange for a website to be commissioned. · A report on the steps taken to ensure it is representative – characteristics of the practice demographic and a similar comparison to the patient group, where this is limited in number. For large virtual groups (for example where the virtual group is 60% of the patient list, summary statistics should be provided). The report should contain details of specific patients not adequately represented including what action has been taken / is pending, to correct this. · Details of extended hours and times or clinician availability during those periods. Around 220 emails were sent in March 2013 asking patients for their opinions and improvement ideas for the practice. From this one reply was received and that was stating that the patient was happy with all aspects of their care and had no input at this time. Further to this an email was sent again on the 16 April 2012 to over 200 recipients. I would be obliged if you take two minutes to complete the attached patient survey, this is the second survey we have conducted since we moved to the new building and we would be interested in your views. or if the link does not work it is on the home page http://www.dansonfamilypractice.co.uk/, scroll to the bottom and there is a tab for patient survey. As the emails did not produce the best response we approached the face to face approach again. In 2012 three meetings were arranged and nobody turned up. Patients were approached from all ethnicities, ages etc and invited to another meeting on the 12 December 2012. The below has been compiled by the Patient Group at Danson Family Practice and we would be obliged if you could complete the following. I was treated with respect and courtesy? · A meeting was then arranged for the 14 January 2013 at 1pm to discuss the changes to the NHS and the pending changeover from NHS Oldham to the CCG, Dr Hugh Sturgess chaired this meeting. · Subsequent meetings have been held and the group has agreed to meet three monthly. · At the meeting in November the next questionnaire was devised. 13. What other services would you like to see in this building that you think would be useful to our patients? We do not own the building but your thoughts and ideas can be put to the owners. 14. Do you think the patient call system should be equipped with audio also? 15. Do you have any concerns with the new building? We do not own the building but your thoughts and ideas can be put to the owners. The following questions provide us only with general information about the range of people who have responded to this survey. It will not be used to identify you, and will remain confidential. How many years have you been attending this Practice? · The next meeting was on 26/3/2014 looked at the results of this and the participants suggested 11 improvement ideas, which related on the whole to the building and not the practice. The current PRG membership is neither reflective nor representative of its practice population. The practice has found that the current membership reflects the types of patients who have a certain level of confidence and free time and have the flexibility about working. There are 6 PRG members within the group. There are 3 male and 3 female representatives. The group is kept informal and the Practice Manager chairs the meetings. The practice has tried to invite people from all backgrounds, ethnicities. The patients initially agreed to attend but never actually came to the meeting. On the virtual group however there is a nice split of ages, ethnicities, backgrounds etc. Danson Family Practice firstly arranged evening meetings thinking this hard to reach groups and younger people would attend but this again did not attract these groups. This evening slot was aimed at those in education, parents and people in full time employment. The membership of demographics of the PRG mainly reflects the older proportion of the practice profile. Of note one lady has filled in a PRG membership form in March 2014 who is between age ranges 30-39. The practice continues to promote the group with younger people. Danson Family Practice attracted new members to the group by publicising its meetings through its website, newsletter, notice board, prescriptions, electronic display board, word of mouth, display leaflets etc in and around the practice. The Practice has made use of its website, www.dansonfamilypractice.co.uk and this has been an invaluable tool. However, the practice has found that targeting patients, who are either in education or in employment, are not able to offer their time to attend meetings. However, it has enabled the practice to encourage patients to join its virtual PPG group. The Practice with the help of the PPG have put together a questionnaire to invite the views of patients and gives them an opportunity to raise issues about their own care and treatment as well as any issues of concern through a patient leaflet/flyer which is readily available to patients. The PPG is constantly trying to recruit new members and this is ongoing within our practice. The PPG were keen to look at the key issues mainly those that were used within the National Patient Survey and look at issues regarding their patient experience with regards to appointments, telephone access, seeing a GP of their choice. The Practice had also used feedback, comments and suggestions by patients to help inform some of the priority areas. A variety of surveys from other practices, National Patient Survey etc were looked at and from these one suitable to the needs of the PPG and Danson Family Practice was created. Patients were asked upon arrival to the surgery if they would be happy to participate in the local survey. This was done on a continual basis over three weeks until 100+ questionnaires were given out. We also used our online survey; this was advertised on the home screen of www.dansonfamilypractice.co.uk so people booking appointments or ordering prescriptions could see this. The practice received an analysis of the local patient survey which pinpointed the areas where the Practice had scored well and also those areas where improvements might be needed. The report detailed a page by page guide to interpretation of the Practice report to aid the practice and PPG in understanding the results. All results were over 80% so the consensus of opinion was that patients were happy it was now my role to improve on areas below 90%. The results formed the basis of an action plan. The overall consensus of opinion was that patients were very happy with their care. The extra comments that were added to the forms were on the whole very positive. The main cause for concern was car parking facilities which have been previously raised with the estates team and been dismissed as not feasible. The results are displayed below. The breakdown of the 30 participants was 39% male, 59% female and 2% no response. The lowest performance areas therefore were relating to opening hours, the car park, having more facilities within the building, and being treated with courtesy and respect at the reception. The other issues will be discussed directly with the parties involved but the PPG will be asked their opinion on these matters also. Opening hours will be evaluated and patients will be asked to suggest what hours they wish for us to be open. A Description of the action which the Practice, the PCT intend to take as a consequence of discussions with the PPG in respect of the results, findings and proposals arising out of the local Practice survey. · To maybe start a reminder service for constant DNA patients. · Look at the reminder telephone calls for habitual DNA patients. · Ask people what opening hours they want – is there anything we can do to help here? · Telephone triage is now in force perhaps we should advertise this more? · Publicise the existing opening hours as patients may not necessarily be aware of what we offer. A plan of each clinician’s surgery times will be published within the surgery and online. An action plan details the recommendations/priorities identified by the Practice. Danson Family Practice is open Monday to Friday 8.00 – 18.30. The practice provides extended hours on Monday evening 18.30 – 20.00 which enables patients (particularly those in education/working) to access appointments at later times. These are pre bookable. Both the GP and Practice Nurse do extended opening hours. Also to make patients aware of the telephone triage/consultation we offer. Were possible Danson Family Practice will offer same day access to emergencies and next day for routine appointments. Danson Family Practice uses the hours of 12.00 – 15.00pm to carry out home visits, telephone triage, telephone consultations, pre arranged minor surgery appointment. Patients can make appointments by telephoning, online or calling in to the practice to make an appointment. The Practice also offers online facilities, to enable patients to request repeat prescription requests via its secure website. The practice also plans to use the facility on NHS Mail to send text messages to remind people of appointments etc. The objectives of the Group shall be to represent the patients of the Practice, to gather and collate opinion from patients via a range of sources, and to comment and offer opinion on these views to representatives of the practice, to encourage development and quality of health promotion and health care services; to achieve this aim by liaising with the doctors and staff, other community health workers, Health Authorities and other persons or organisations concerned with health care. The Group shall be non-party in politics and non-sectarian in religion, and shall be formed using the best principles of equality and diversity. The Group and the practice will make every effort to ensure that the constituent elements of the Group are representative of the practice patient demographic, with a range of patient interests represented. The Group shall have power to affiliate to the National Association of Patient Participation Groups and to other organisations with similar objectives. This shall be open to any patient of the Practice. Any patient may join the group. Removal of a patient from the practice list, for whatever reason, will disqualify continuing membership of the group. The practice and the Group may approach individual patients for potential membership. Minutes shall be kept and the Practice Manager shall enter a record of all proceedings and resolutions. · Research and identify the options and solutions that are available to help with current set-up to improve patients’ experience. · Consider auto attendant features that could provide information to patients when on hold. · Look into using NHS.net for persistent DNAs. · Telephone on the day on habitual DNA patients. · See appointment system – review to ensure that online booking is feasible. · Look at increasing use of text messaging service as a reminder to patients not to forget their appointment. · This is currently utilised via EMIS Web, look to expand usage. · Display reminders to patients each month on the number of wasted appointments via posters, newsletter and website updates. · Review of appointment system to help improve access and manage patient demand. · Practice to look at matching capacity to demand. · Communicate any changes to staff and patients as feedback is crucial. · Create a welcoming and supportive environment. · Ensure all relevant information is clearly available to patients and continue to look for ways to improve and personalise services. · Provide customer care training to staff and evaluate and monitor improvements. · Use results from the questionnaires to look at patient satisfaction with customer service skills. Customer Care training is being completed via bluestream. We anticipate that the group will meet about four times a year, but arrangements will also be made for members of the group who are not able to attend in person, but feel that they would like to contribute. We are happy for new members to come forward at any time. Do you think the patient call system should be equipped with audio also? help patients to take more responsibility for their health. The first PPG was established in 1972 by a GP. Since then the PPG movement has grown rapidly. Experience shows that successful practices and effective PPGs go hand in hand.